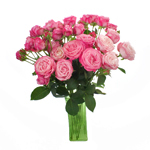 These delightful spray roses are a kaleidoscope of pink shades, ranging from blush to pretty pink. These prismatic pink spray roses will enhance a summer garden party tablescape when arranged with blushing akito bubblegum pink roses, pacific pink stock and pink ranunculus flowers! 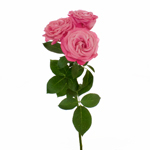 Offered in packs of 4 bunches each. 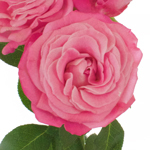 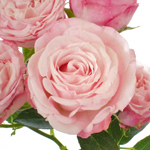 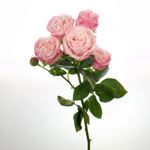 Spray Roses are in a Grower's bunches with 5 to 9 stems and an average of 4 to 8 blooming mini roses.